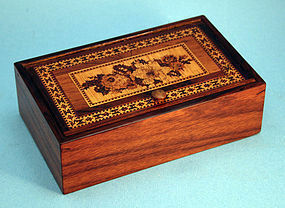 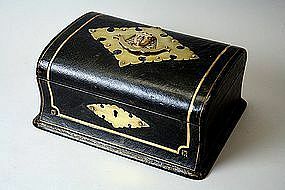 Fine Anglo-Indian glove box, rectangular with cut corners, each face and lid decorated with finely carved sandalwood panels, “Sadeli” work and ebony and ivory banding. 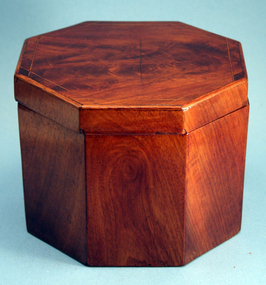 (Warp to lid.) 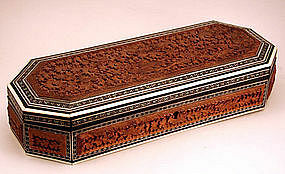 Bombay, 1870-1880. 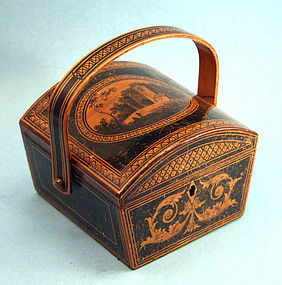 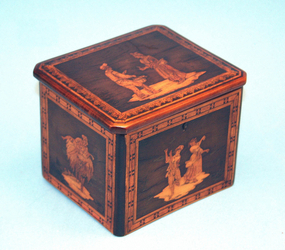 Fine Antique Tea Caddy in Olivewood, inlaid on all sides and top with different scenes of peasants and with tumbridge type inlaid borders. 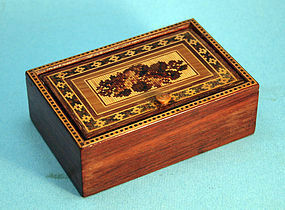 Probably Italian, circa 1870. 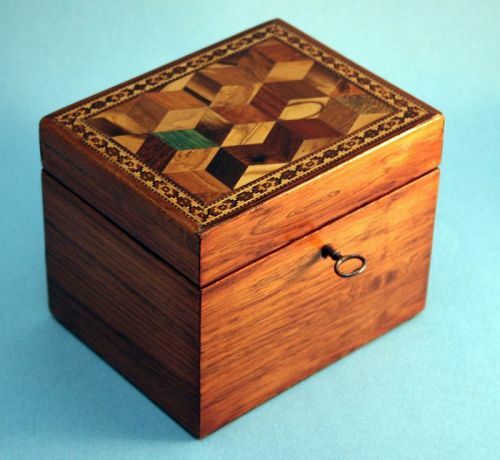 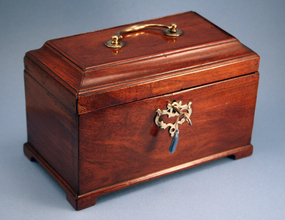 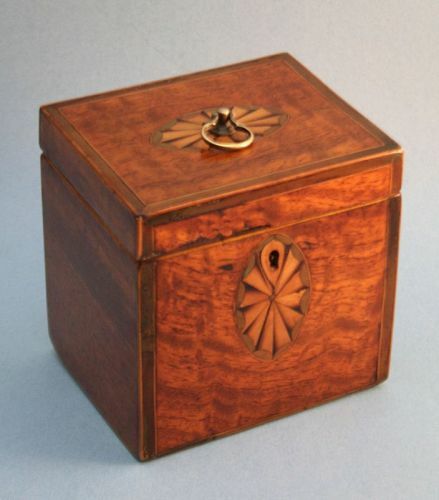 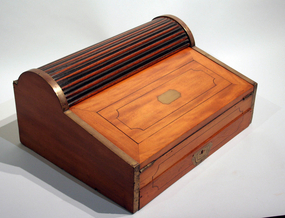 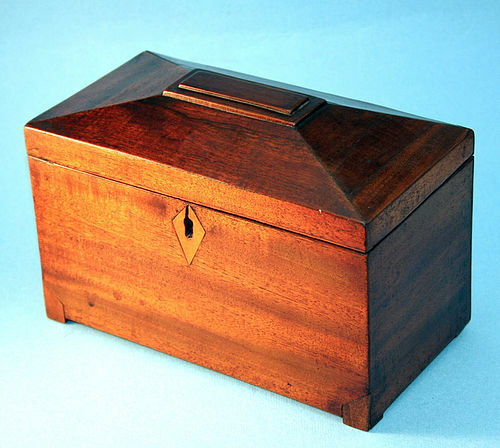 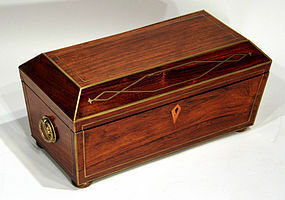 Fine English Regency tea chest of sarcophagus form in rosewood, banded and inlaid with brass; the rectangular, canted lid opens to a fitted interior with two lidded tea caddies ad a later sugar bowl. 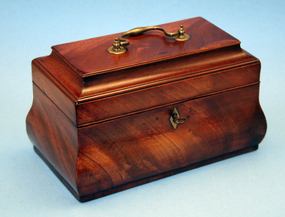 Circa 1810-15.